The Department of Physics offers four separate undergraduate applied physics degree specializations in addition to Masters and Doctorates in Physics. 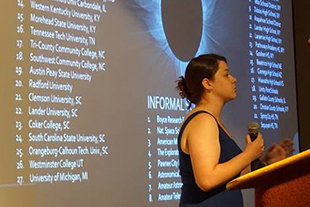 The Department has several major, federally funded research projects and actively encourages student participation in research of both graduate and undergraduate students. Both experimental and theoretical work is now being undertaken and opportunities abound for research assistantships. Such research, especially for students in our applied physics specializations will provide opportunities for cutting-edge research experience which will aid in job and graduate education. Check out our events pages for weekly seminars. Fridays at 2pm and 4pm. 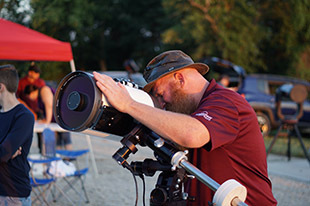 Physics hosts free monthly public astronomy observations on the Neckers rooftop observation deck.